The Zebra is best known for its black and white striped body and their stripes come in different patterns, unique to each individual. Their unique stripes make them one of the most recognizable animals to people. They live in tend to live in herds and occupy a variety of habitats such as grasslands, savannas, woodlands, thorny scrublands, mountains and coastal hills. 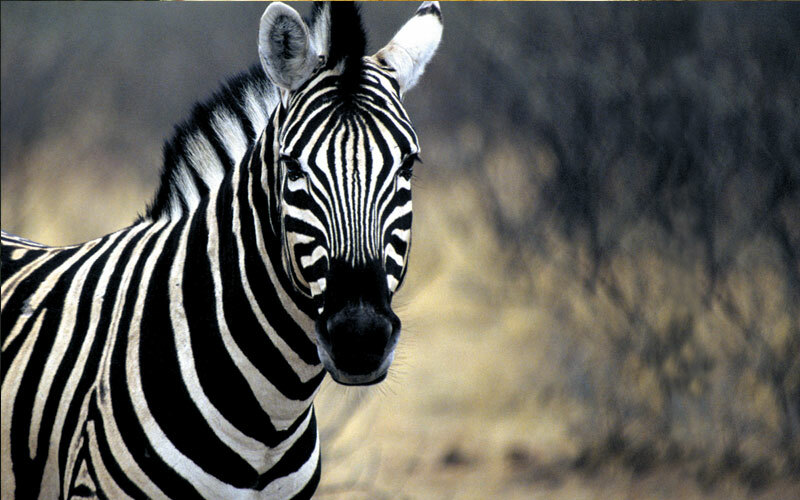 Zebras have excellent eyesight and it is believed that they can see in colour. They have excellent hearing and have larger, rounder ears than horses and can turn their ears in almost any direction. In addition to superb eyesight and hearing, zebras also have acute sense of smell and taste. In the wild, Zebras live about 20-30 years but in zoos they can live up to 40 years. Zebras are only found in the wild in one continent: Africa.